Juniper is the head of the group, leading the little troop around inside and out. She carries herself proudly and confidently, and as the largest of our girls, she loves to forage and snack throughout the day. Violet is the smallest and lowest on the social hierarchy, but don’t let that fool you. She is a smart, sly little girl who is also quite silly, hanging from the ceiling and rolling in the sand. She is always paying attention, and she learns quickly. Periwinkle is a sweet little lady. She is right in the middle of the social hierarchy and enjoys grooming with the other girls. She is a little more reserved with new things but is still quite curious. 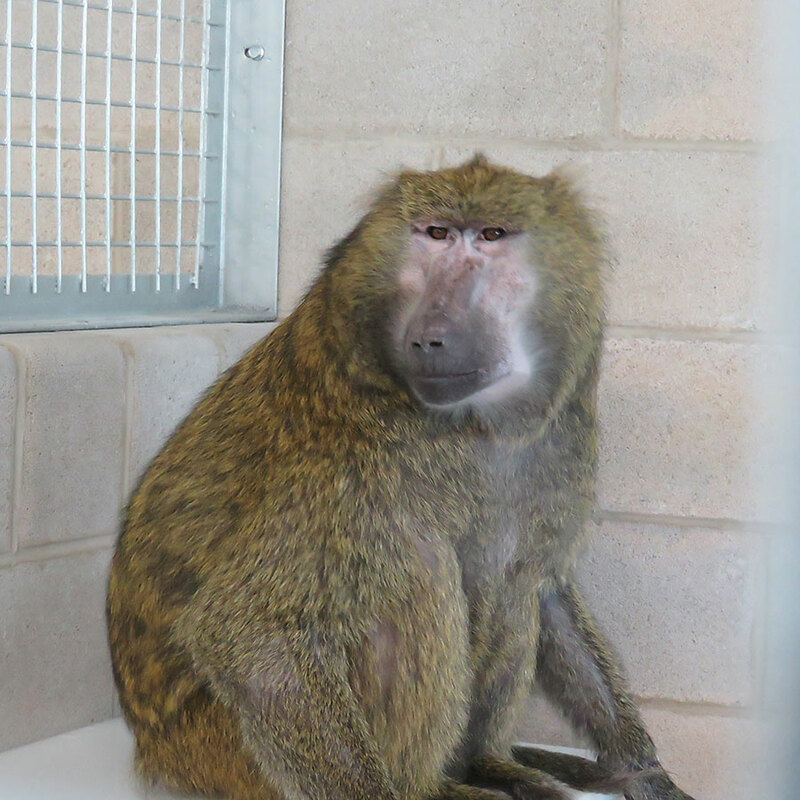 AJ is a young male, so sometimes enjoys strutting around showing his strength and power, but he is actually quite docile. 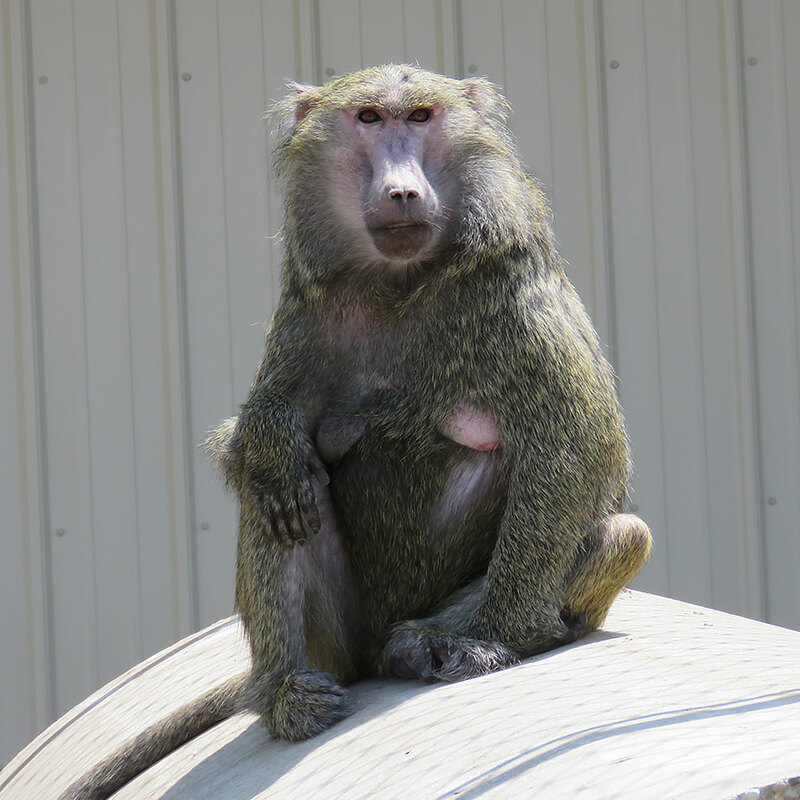 He loves to be outside, eat whole ears of corn, and forage all around the enclosure. 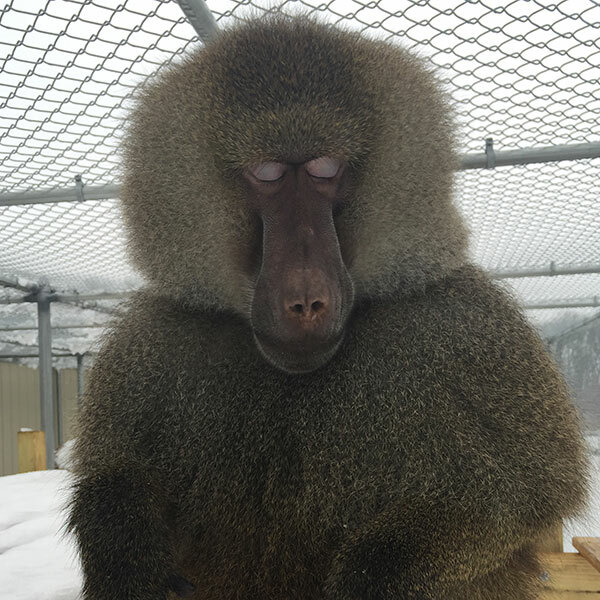 Our largest and most dominant of the males, Jerry moves with confidence. He is very gentle and enjoys a mid-day nap. He is a calm, yet strong, leader of the little troop. 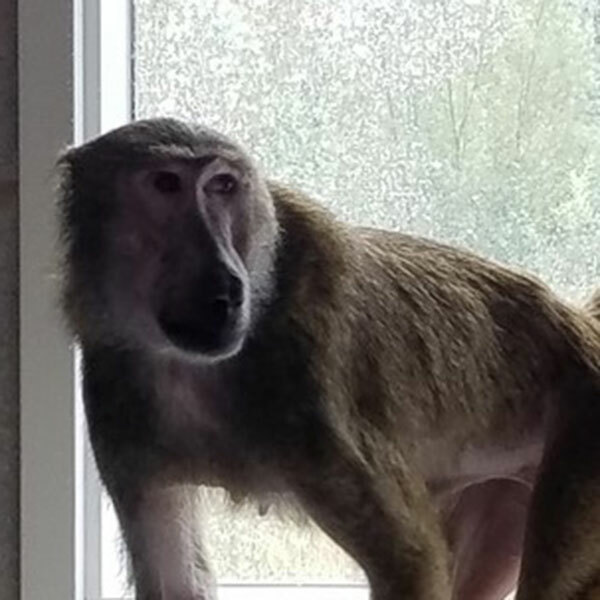 Timmy is in his older years, and he is a very gentle baboon. He loves to climb and sit in the sunshine then come inside for a midday nap. He enjoys carrots and peanuts and just watching the young troop across the way as they run around. 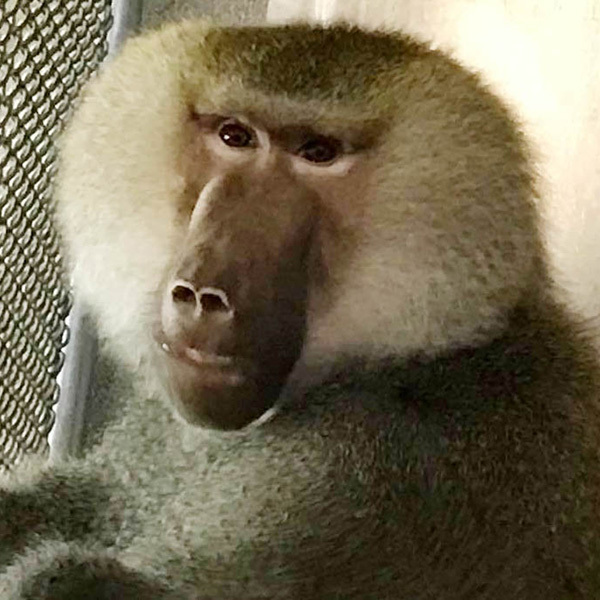 Babbles is a sweet little lady and is our oldest baboon. She loves the attention of her care takers and her new mate Timmy. She truly loves being outside and watching everything around her. 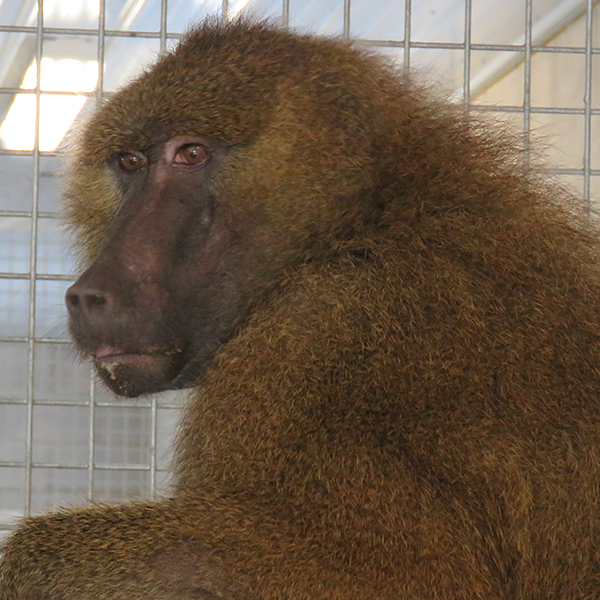 Caitlin is our lone female Red Baboon and is partners with Gondwana. They are a very close couple and enjoy each other’s company. 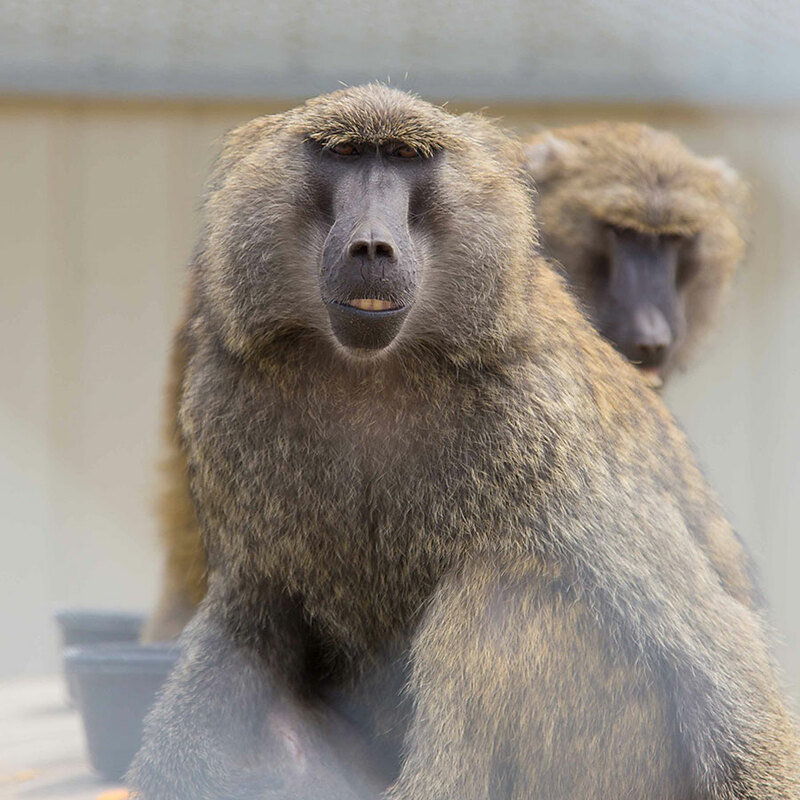 She is a little timid without Gondwana by her side but does enjoy snacking and watching the other baboons. 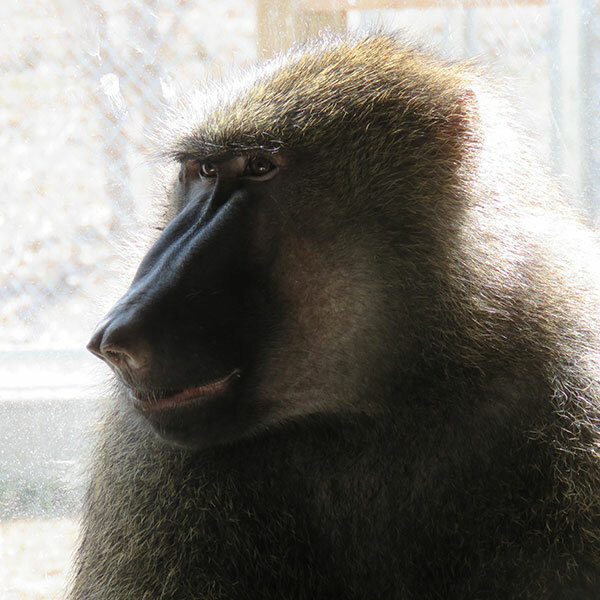 Gondwana is our lone male Red Baboon and is partners with Caitlin. They have lived together for many years and he is a very confident protector of her. 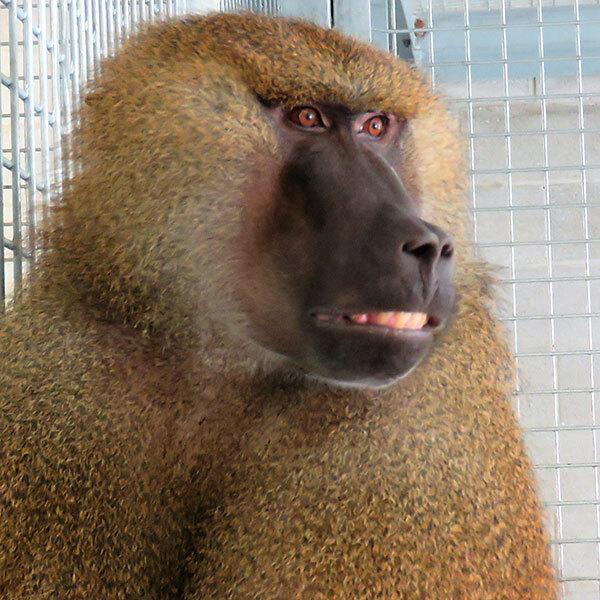 He is always interested in new things and enjoys the attention of the other baboons. Robert is an intelligent and curious boy. 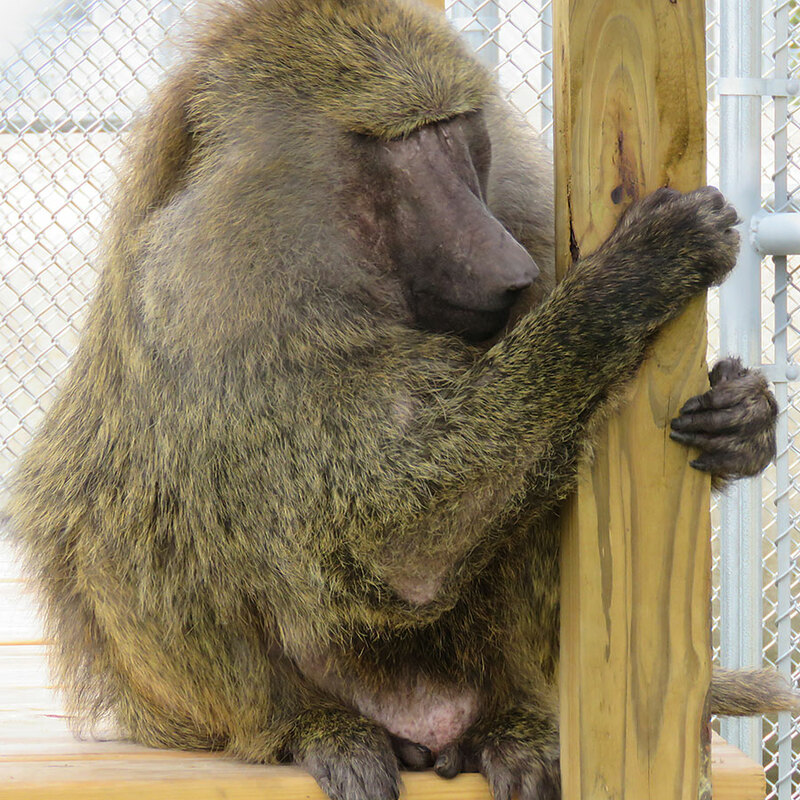 He enjoys all types of enrichment and toys along with just watching the other baboons. 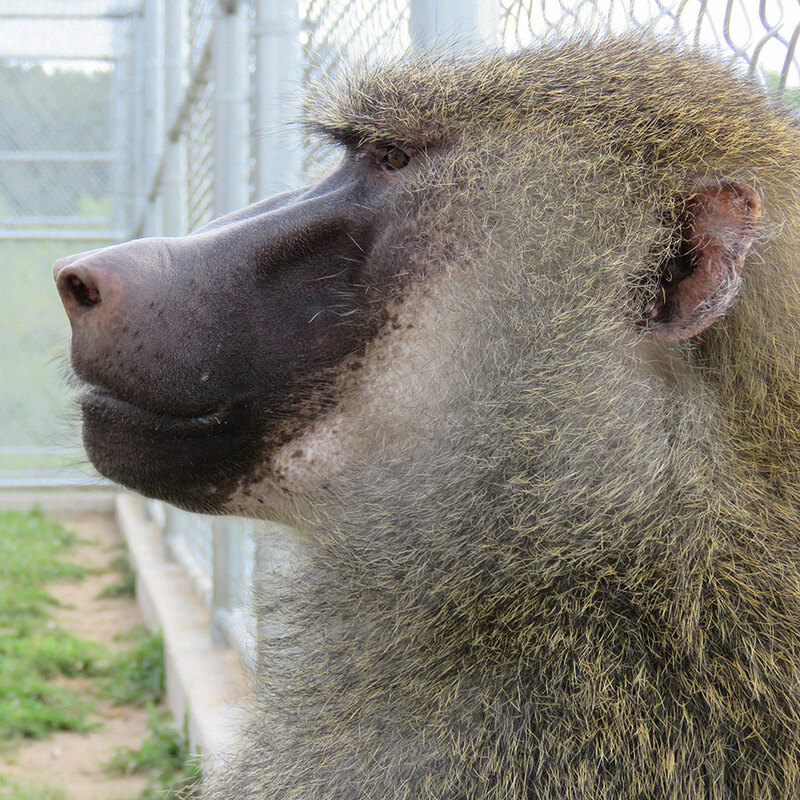 Robert is strong but gentle and we are excited to see how his life improves here at the sanctuary with all his new baboon friends. Jonathon is a calm relaxed boy. 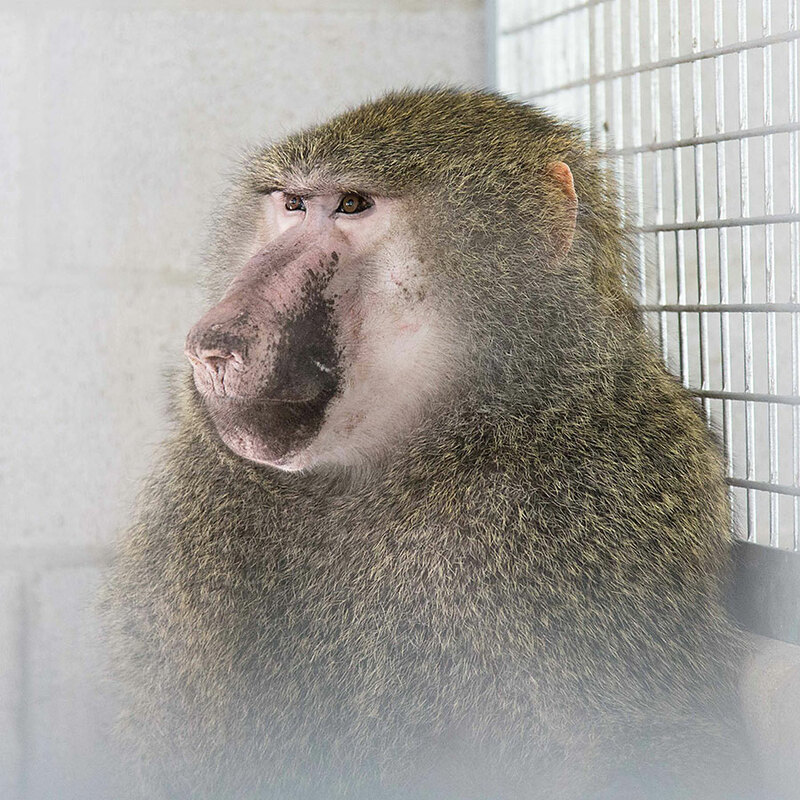 He is a silent but confident older male baboon that enjoys the company of his friend Benjamin. He enjoys the attention of his care takers and is happy to be in such a great place for his retirement. Benjamin is a very smart and energetic boy. He is always interested in new foods and enrichment and pays attention to his surroundings. Benjamin enjoys relaxing in the sun inside and outside. 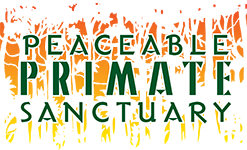 He will truly have a great retirement at the sanctuary with all his new friends.